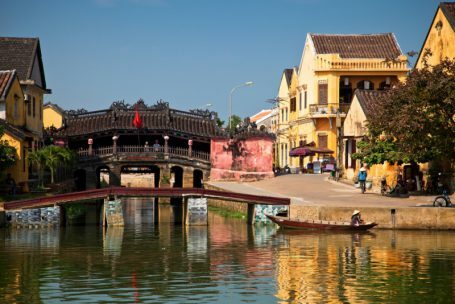 Emirates airline officially commenced daily direct flights from Dubai to Hanoi, Vietnam on 1st July, providing Emirates’ passengers from Dubai and other destinations across Europe another seamless route to Vietnam. Passengers travelling to Hanoi will no longer stop in Yangon, saving approximately 2hrs 30mins of travel time. The first direct flight EK394 from Dubai departed at 03:30hrs and arrived at Noi Bai International Airport at 13:05hrs local time on 1st July 2017.The new non-stop service is operated with a two-class configured Boeing 777-300ER which offers 42 seats in Business Class, 386 seats in Economy Class and up to 20 tonnes of capacity for cargo, with generous free baggage allowance (up to 35kg in Economy Class and 40kg in Business Class). The return flight, EK395, departs from Hanoi’s Noi Bai International Airport at 01:30hrs and arrives in Dubai International Airport at 05:05hrs. Timings of the service have been scheduled to allow for seamless connections from and to many European and GCC destinations, via a convenient stopover in Dubai. Emirates provides its customers with a wide range of choices across its global network of more than 150 destinations in 84 countries and territories. In its commitment to continue to redefine air travel, Emirates works closely with manufacturers and suppliers to ensure all aspects of the customer experience are second to none, and offers passengers the industry leading ice(Information, Communications and Entertainment) entertainment system with more than 2,500 channels of entertainment featuring over 400 movies from around the world, including Vietnamese content. Emirates has won the World’s Best Inflight Entertainment award for a record 13th year at the prestigious Skytrax World Airline Awards 2017. Recently, Emirates was recognised as the Best Airline in the World in the inaugural TripAdvisor Travelers’ Choice® Awards for Airlines. In addition to clinching the grand prize, the airline was the biggest winner with four other awards including Best Major Airline – Middle East & Africa, Best Economy Class, Best First Class and World’s Best Airlines – Top 10.